Have you ever realized, your mind can induce countless idea at one go. Imagine if all the ideas had the power to come alive! The magnificence will do remarkable changes to the nation. India proudly stands the credibility. What stops us? The discovery of diversified availability of resources likes investors, VC, etc. If you have already understood what we are pointing at, give me the privilege to bring in Bluechits, a CrowdFunding platform that breathes life into your brainchild. BlueChits is India’s upcoming CrowdFunding interface with the sole motive to bring entrepreneurs, investors and VCs together. The idea enthusiast can gel together to work it out, because ideas are meant to be embellished. Bluechits opens up a world of possibilities for the Creators and Enthusiasts. It not only focuses on turning ideas into successful campaigns, but also protects the crowd against financial risks .It provides full security on funding through stern verification system. ‘CrowdFunding’ is tailor-made for India, where people are innovation worshipers and show receptiveness for new ideas. With its ‘Minimal Restriction’ model, BlueChits ensures that each one has an opportunity to create and fund. Along with quantity, it aims at quality. Its main objective is to draw people’s attention towards new ideas and support them. 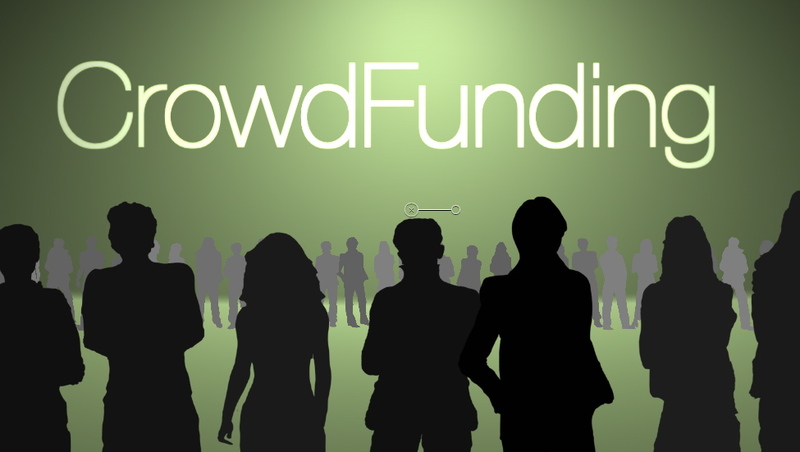 It is here to educate Indians about the concept of CrowdFunding. 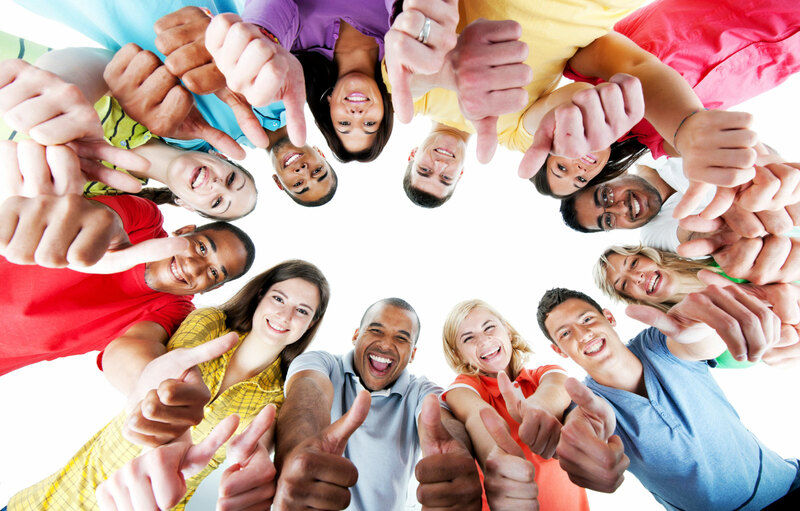 The clarity of the concept will instil the confidence on CrowdFunding. The intention is to transform young mind, which is a breeding ground for real good ideas. It’s time we realize our own potential and move ahead! Bluechits is co-founded by Sahil Bhatia, Anshul Bhatia and Prabhav Manchanda. With the budding of new start-ups and ideas, India is leading the parade of innovation. Unfortunately, the resources are proportionally limited. This is how BlueChits, a CrowdFunding platform, came into the realm! Start-ups in India lack proper guidance. Innovators are looking for a window to enter the lucrative world of Start-ups. But, not everyone gets the right turn. It is important for each one to receive equal opportunities to unleashed their ideas. Lack of a handy platform, where intuitive people can portray and market their ideas for feedback and funding is a prolonged problem in India. There is an emerging need for opportunity to turns ideas for real. Indians are born talented, academically successful, and innovative by virtue. But, when it comes to risk taking and shaping those ideas, they become numb. This is due to the lack of support in direction, funding and promotion. Lets face it, finding an Angel Investor or VC is like the searching the Gods. That is where BlueChits comes in. It taps the Latent problem with proper platform to get funding, promote the idea, and earn social acceptance. It is the first step that leads to success. Funders, in common have similar apprehensions about CrowdFunding. These exactly corroborated with our assumptions on ‘Credibility of the Platform’, ‘Merit of the Campaign’ and ‘Usage of the Funds’. Bluechits strives to solve this problem by providing a socially integrated platform. The campaigners can market their idea to a wider group of audience for funding and idea enhancement. They can also tie-up with upstream/downstream entities present in an idea to the realization process. The platform connects campaigners and funders to bring the idea to realization in a much better way. BlueChits is introducing unique concepts of Crowd-funding. It not only gives the security on fiscal, but also allows better planning in terms of allocation. 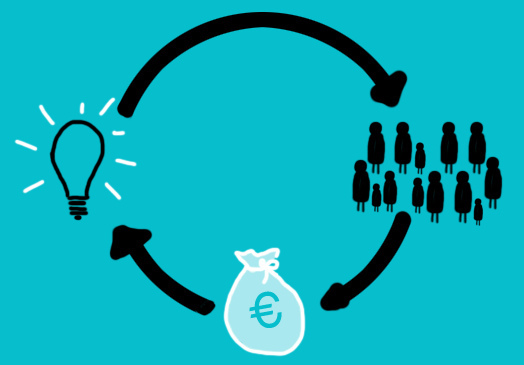 The conception of CrowdFunding is new to the Indian market. If we filter further down to Reward Based CrowdFunding, the number goes southwards. Interfaces like Wishberry and Catapooolt are the contenders of Bluechits. Bluechits is making its way to market with phenomenal response. It is currently multiplying it’s team. “We have the unique distinction of having more than 35 College Ambassadors in premier institutes giving us the much-needed Ground visibility, something which our competitors don’t possess.” reavealed Sahil Bhatia. Be forewarned, that in next 12-16 months, Bluechits will have over 100 successful CrowdFunding campaigns. In the long-term, it is going to be a One Stop Shop for new idea, innovations, and CrowdFunding campaigning in India. Right from manufacture’s contact, strategy consultancy to rewards, it is setting up a network for services to help people at the ideation stage or looking for guidance. Apart from this, SEBI recently raised a Consultation paper on Equity CrowdFunding, which counts for Bluechits. Bluechits is definitely the next-gen co-creation platform for innovators along with the above features. The streams of revenue will be generated from campaign creation fee, premium services fee (Marketing/Consultancy/Marketing material creation) and commission cut from funding raised. Readers, the initial campaigning creation fee is free! To add to that the premium services, right from campaign creation to promotion is minimally charged. Now, get going! Previous article ‘HeyLets’-Optimism Is The New Virtue Of Life! Next articleYIX Turns Your Love of GIF into a Game You’ll Play Forever!